NEED A LOADED UP FAMILY 7 SEATER?? LOOK NO FURTHER THEN THIS GENERAL MOTORS PRODUCED SATURN OUTLOOK. IN THE SAME FAMILY AS THE GMC ACADIA AND CHEVY TRAVERSE, THIS SATURN WILL LEAVE YOU AND YOUR CHILDREN WANTING FOR NOTHING WHEN TAKING FAMILY TRIPS. WITH IT'S SLEEK LEATHER INTERIOR AND REAR CAPTAINS CHAIRS IN THE REAR FOR EASY ACCESS TO THE 3RD ROW, YOU'LL ENJOY EVERYTHING FROM GROCERY STORE TO CAMP GROUND RIDES. 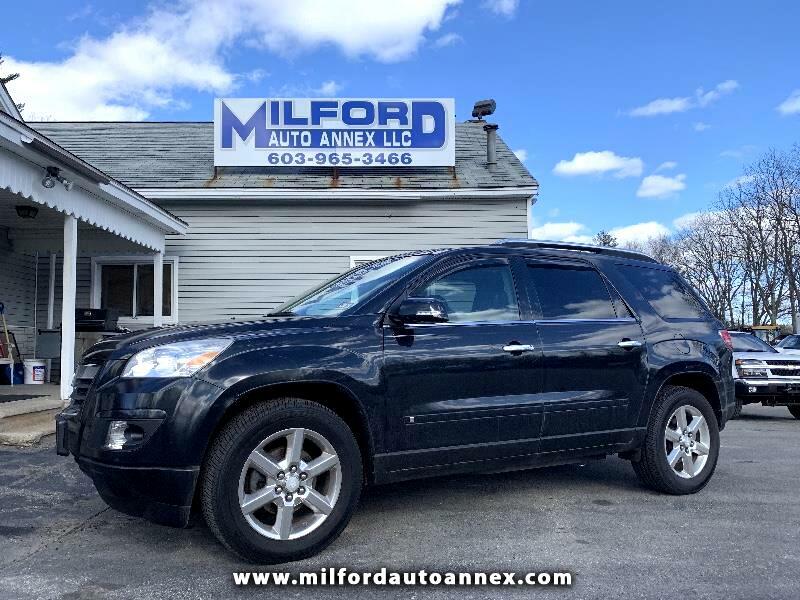 GIVE US A CALL TODAY AND COME ON DOWN AND DRIVE HOME IN YOUR NEW TO YOU SUV TODAY!! !